Tschai is a world where four alien species compete to see who will rule . . . and where humans have been bred to be slaves. 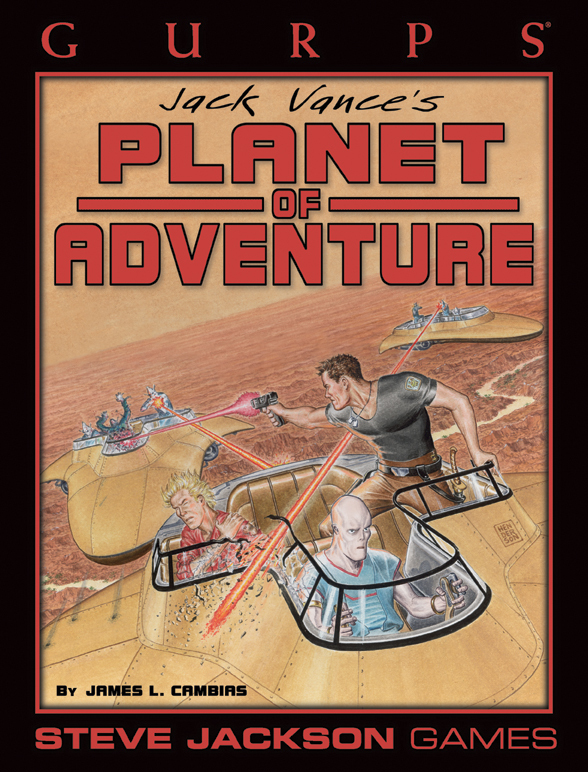 Jack Vance's classic Planet of Adventure series has thrilled science fiction fans for decades, and now Tschai is a hot new roleplaying setting! In GURPS Planet of Adventure, play one of the strange alien beings inhabiting Tschai, or play a man fighting to return to Earth and warn humanity of the peril it faces. GURPS Planet Krishna – The world of Krishna is a combination of classic space opera with hard-science realism and a dash of humor. 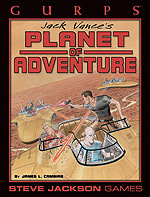 Note: The spelling "Wanek" is not an error; we made the change at Jack Vance's request.